10"W x 2"H reception area and employee office sign with free text personalization. 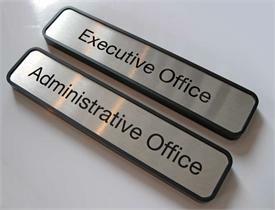 Architectural grade metal frame in satin silver with custom name plate insert. Ideal for copay signs or with any custom text you desire. 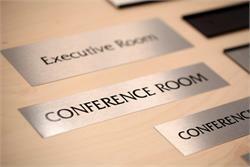 Custom desk signs and signs for counter and front office.